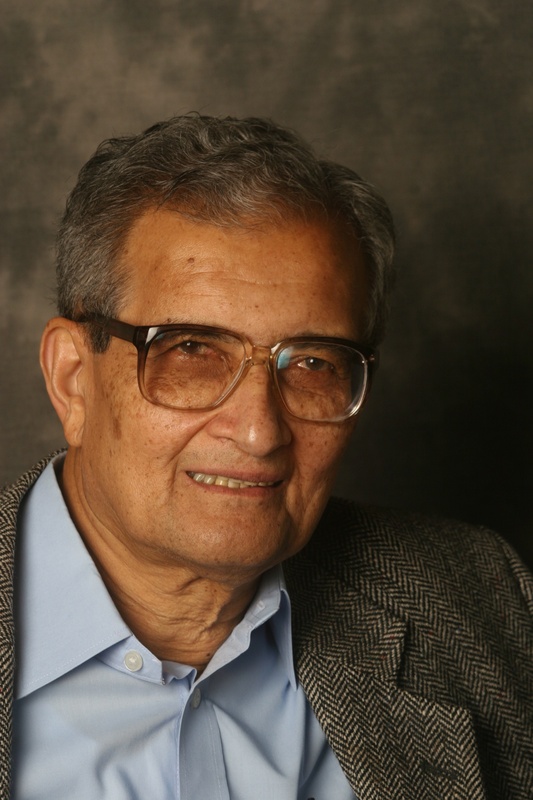 The Social Science Research Council (SSRC) is proud to announce that the winner of the 2016 Albert O. Hirschman Prize, the Council’s highest honor, is Amartya Sen.
Amartya Sen studied at Presidency College in Calcutta and at Trinity College, Cambridge. He has taught at Jadavpur University, Calcutta; the Delhi School of Economics; the London School of Economics; and Oxford University, where he was Drummond Professor of Political Economy. He also served as the master of Trinity College, Cambridge, from 1998 to 2004. Presently, he is Thomas W. Lamont University Professor and professor of economics and philosophy at Harvard University. Sen has served as president of the Econometric Society, the American Economic Association, the Indian Economic Association, and the International Economic Association. He has researched in economics, philosophy, and law, including social choice theory, welfare economics, theory of measurement, rationality, famines, gender inequality, growth and distribution, economic development, public health, social justice, ethics, jurisprudence, and legal philosophy. His work has been recognized by many awards, not least the Nobel Prize in Economics. Working deeply within and across these fields, his many books include Poverty and Famines (1981), Rationality and Freedom (2002), Identity and Violence: The Illusion of Destiny (2006), The Idea of Justice (2009), and The Country of First Boys (2015). Professor Sen was presented with the Albert O. Hirschman Prize at an event at the Institute for Advanced Study in Princeton, NJ, on April 19, 2017.